The Victorian Government is a strategic partner of The Conversation. 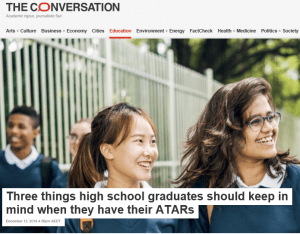 Content for the news site is written by academics and researchers with deep subject expertise. That means educators can rely on these articles being based on evidence and informed by genuine insight. 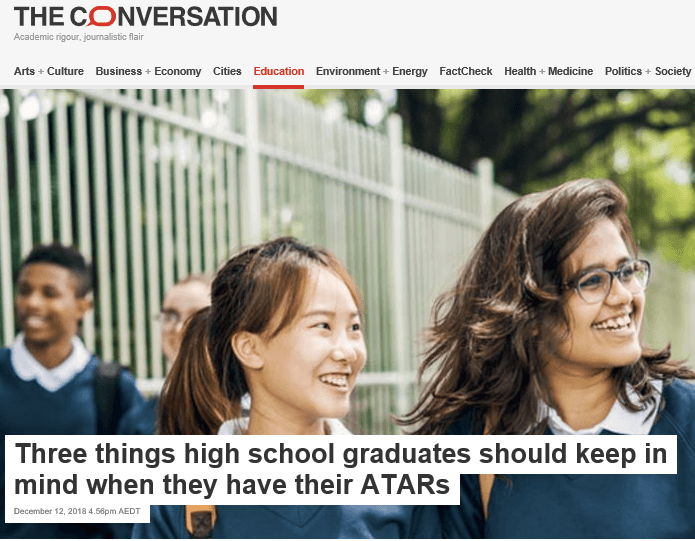 With VCE resuts and ATARs released this morning, The Conversation’s article Three things high school graduates should keep in mind when they have their ATARs is timely, relevant and interesting for educators and students alike.